"Coming back from a one week exhausting trip, The Journey to the Edge of the Universe continues with Ep. 6 based on OP-1 - radio, SoundScaper - drone, Quadnic-Braids-Tides-Clouds - drone and sequence, microKorg - lead, Virus Ti2 - pads, Circuit - drumbs, bass, sequence." 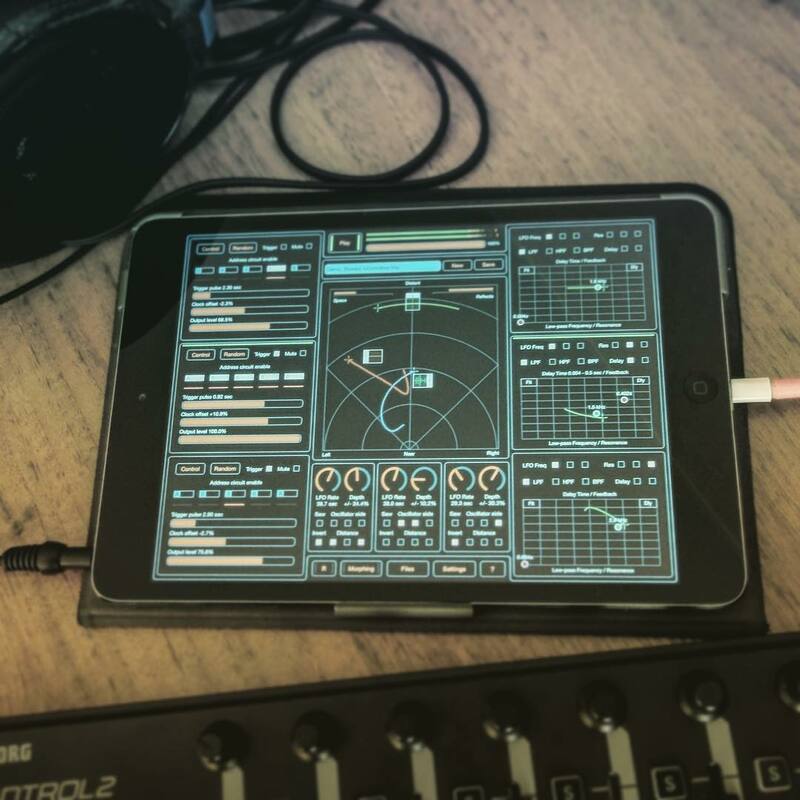 The upcoming update of SoundScaper app will greatly expand the features of oscillator control. SoundScaper oscillators is basis of experiments with the sounds construction. With these additions you can create much more new, exciting and unexpected sounds and textures. 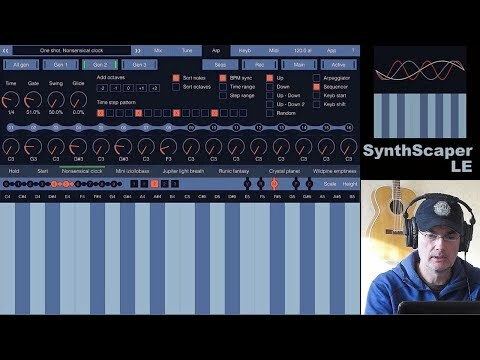 Among new features - enhanced noise control, different kinds of distortions based on simulations of unstable work of clock and pulse-width modulation modules, amplitude modulation, new possibilities of controls by the trigger, and even frequency modulation for the final mangling of samples. And even more. This update will contain a lot of predefined oscillator presets with the most unusual sounds ready to use in your soundscapes. SoundScaper ver. 1.6 has been released! 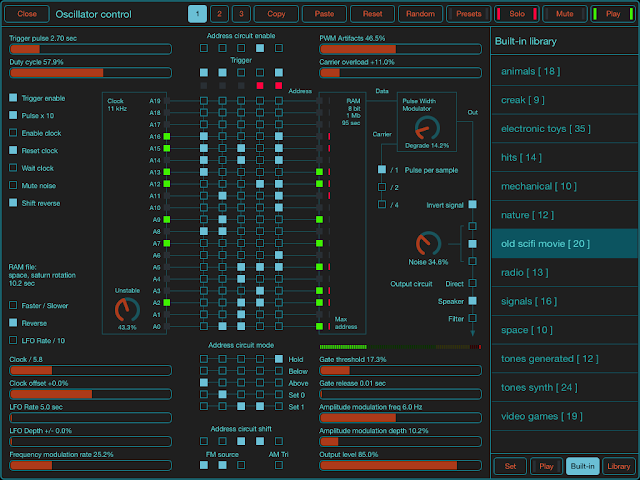 SoundScaper - An experimental sound mini lab ver 1.6 has been released. 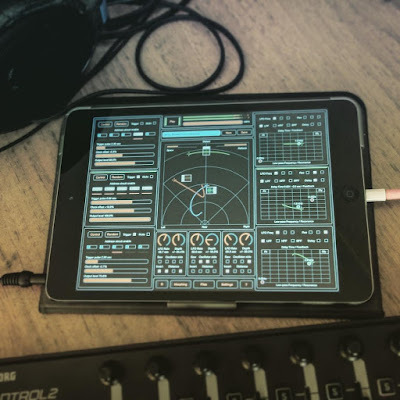 This is a technical update that adds new and convenient features which already present in other app FieldScaper from Exciting Noise series bundle. At first, it is new additions to MIDI controls, support IAA transport, improved user interface. And second it is support Dropbox service and a lot of new samples in built-in library. Added new samples in built-in library. Supported Dropbox service for download / upload. Supported IAA MIDI and transport controls. List of MIDI controls divided by categories. Direct, Pick-up and Scaling modes of MIDI faders. Sending states of buttons and faders to MIDI controller. Selecting 16 / 24 bits depth for internal recorder. Added option "Open in" for send file to other application. Added new options in application settings. Improved user interface for setting and description. Updated description of the application.